* The Board of Commissioners will forward the current Program members' names to their own slate, to be voted up/down by the membership. Commissioner nominees must be able to attend the next scheduled in-person meeting to be held on Friday, September 20, 2019, in Indianapolis, IN. 4) Statements of Interest are due by email to cosma@cosmaweb.org no later than 5pm EDT, March 31. March 31: Deadline for interested individuals to submit a Statement of Interest (cosma@cosmaweb.org by 5:00 PM (EDT) March 31). April 15: The final candidates are submitted to membership for a vote. May 1: Election results compiled and new Board members notified; changeover occurs at that time. Interested candidates may contact Heather Alderman (cosma@cosmaweb.org) with questions. Participate in bimonthly conference calls and two in-person meetings a year, September and February (held in conjunction with the COSMA Conference). Assess and improve the Board’s own effectiveness. In accordance with the bylaws, the Nominating Committee is comprised of four program or individual members of the COSMA, who are recommended by the Board of Commissioners and approved of by the Board of Directors. One committee member will be from the current BOC to act as a representative of the BOC; the other three members will come from the program and individual membership at large. The Nominating Committee is charged with the task of collecting and evaluating nominations for all open positions on the Board of Commissioners, or those positions scheduled to be open in the year. The Committee proposes candidates to the BOC in accordance with the procedures specified by the bylaws, following a formal and rigorous review process, to be voted on electronically by the membership during the month of April. The Nominating Committee will consider the experience and skills of qualified and interested individuals while assessing the overall balance and performance of the organization’s Board of Commissioners and individual members within that Board. In this respect, the Nominating Committee also focuses on fostering and creating a long-term leadership culture and succession plan within the Board structure. Specifically, the Committee will express its commitment to continuity of leadership between the generations of leaders within the total Board as it chooses nominees. As a result, if specific representatives of the membership are needed while others are not (e.g., nominees from public institutions or nominees from small institutions), the call for nominations will state these specifications. Individuals must be members in good standing with COSMA to be considered for any position (individual or program). All Board members are encouraged to attend related sport management conferences and meetings where possible and act as “goodwill ambassadors” for the organization by interacting in a positive way with supporters, members and other sport management professionals. 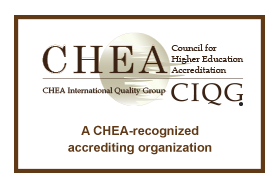 All Board members are encouraged to actively support the goals of academic accreditation as well as the goals of the COSMA and to foster an environment of increasing professionalism on the Board. Board members are expected to support COSMA by maintaining their membership (individual or program) throughout their service as a Board Member. This does not apply to any Public Board Members. Board Members must be able to attend and participate in the routinely scheduled conference calls as well as in-person meeting(s) per year, held in February (both Boards) and September (only the BOC). All costs are covered by COSMA, including travel, hotel, food and miscellaneous expenses. Board members are covered by an Operating Guide (see pages 4-6 of this document). Board members must disclose any conflicts of interest upon installation and annually. a) history as a Board member in this or other organizations b) interest in becoming a leader in the sport management academic community while serving the individual and program members of the organization.